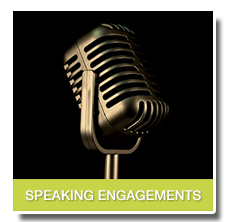 Are you looking for someone to speak at your next event? Someone with experience, inside knowledge on the industry and a flare for presenting? Click here to learn more about what As You Like It can bring to your next function. As You Like It is a full service, multi disciplinary branding and design agency, providing solutions for your business across multiple channels including print, broadcast and web. We specialize in corporate branding, tradeshow and convention marketing, sales collateral, promotional and point-of-purchase signage, restaurant branding, web marketing and so much more. Contact us today to find out how we can get your brand noticed in a competitive marketplace.